I really enjoy flight simulator games, and even more when air-to-air combat is thrown in. Unfortunately, they don’t come out very often. Thankfully, a new entry in the Ace Combat series was just released - the first for the current generation of consoles. Ace Combat 7 is like if they made a good Top Gun game, but the story was even cheesier. Not that that’s a bad thing, I enjoy the nonsense anime melodrama. In fact, it’s sort of necessary for the story to work at all - It’s hard to portray a fighter jet as an existential threat without it. The game takes place on a fictional version of Earth, where political pressures and distrust lead to the Kingdom of Erusea declaring war on the Osean Federation and...well, the story doesn’t make much sense, especially when your character becomes a political prisoner, but they keep sending you up in multi-million dollar fighter jets. No, the real draw here is the gameplay, and it’s sharper than it’s ever been. New mechanics have been added, such as realistic crosswinds, and if you fly too high into the clouds, your wings can ice up and make it hard to control your aircraft. New customization options allow you to play to your own strengths as a pilot. Visually, too, the game is remarkable. 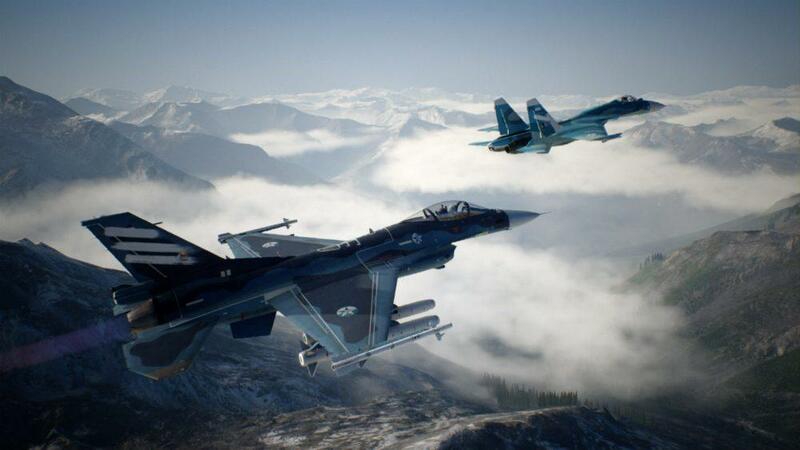 This is the first Ace Combat game that will play in 4K on the newest consoles, and the textures are amazingly detailed, especially on the 28 different fighter jets available in the game. Even though you’ll spend most of your time looking at deep blue sky, the ground environments have a level of detail that is almost wasted in this game. It’s unfortunate that air-to-air combat games aren’t more prolific, but at least the games that we get are good - even if the plot is a soap opera.